Classes - Deep Six Divers Service, Inc.
For information on how to start your diving career, click here! Learn more when you pair classes! Please view calendar for start dates. Courses are scheduled upon request. May be taken in conjunction with the Nitrox course. Prerequisites: Advanced and Rescue Diver Certifications. Prerequisites: Certified Advanced Open Water Diver and 15 years or older. The Basic Open Water Diver course meets 2 day a week for 5 weeks, 6:30 pm – 9:30 pm and covers the topics needed to be a safe and skilled Open Water diver. Private classes available for those whose schedule demands a more flexible time frame. Please see the calendar for start dates. The student must provide his/her own mask, snorkel, and fins, as well as transportation to dive sites and accommodations. Class lectures are limited to 12 students and pool is a maximum of 6 students. Private and Semi-Private instruction is also available for $430.00 to meet any schedule. This course is a one on one session designed to touch up your in-water and academic skills as well as increase your comfort in the water. You must be a certified diver and posess a certification card to take this course. This course focuses on the practical information a diver needs to safely use oxygen enriched air. It reviews gases, explains the concept of partial pressure, and covers oxygen physiology, as well as oxygen limits and tolerance techniques. 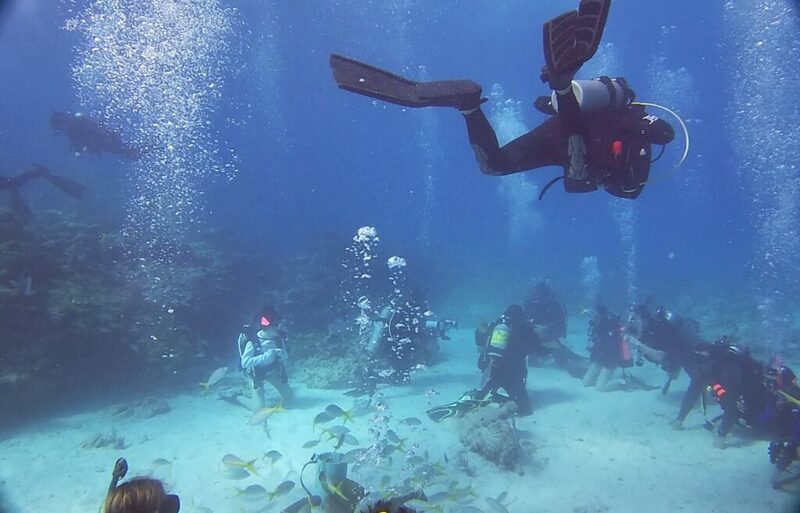 In addition, students will learn the steps of dive planning, determine how to select the right mix, practice using tables to manage no-decompression limits, and demonstrate how to obtain and analyze a tank of enriched air. 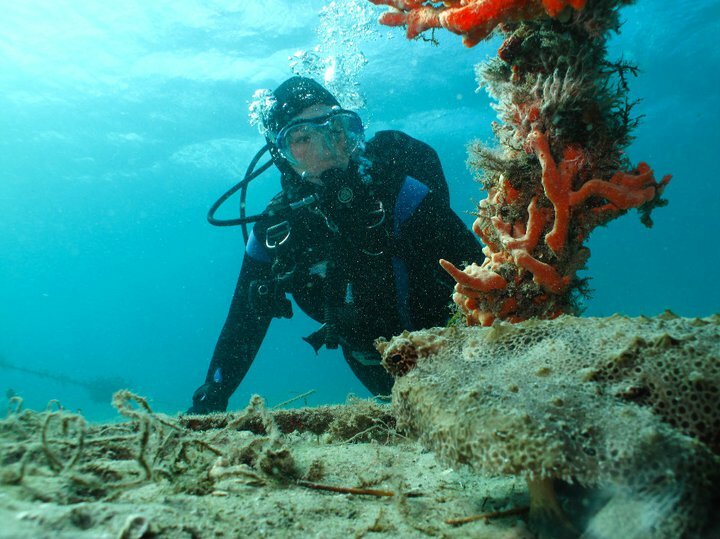 This course is a continuing education course for certified divers. The importance of dive planning is stressed, as well as types of diving. There is an open discussion of advanced diving practices and procedures. 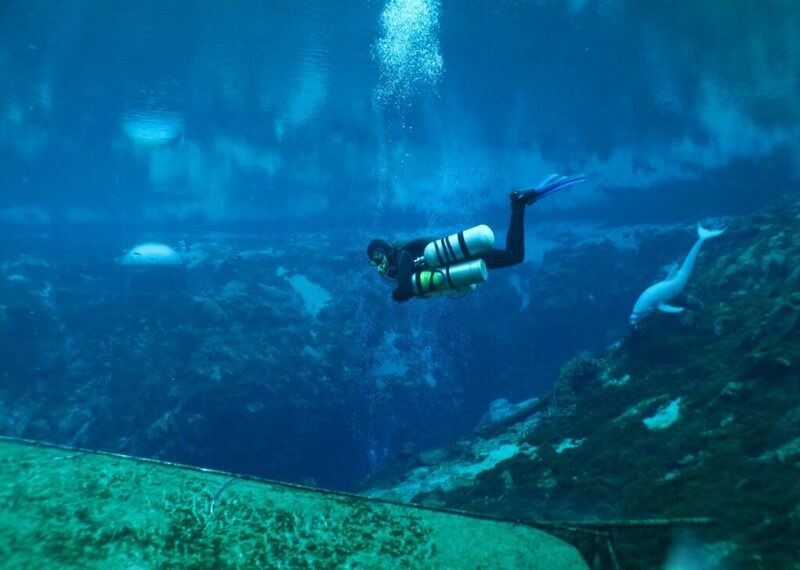 Training dives will take place at Lake Isis and either Paradise Springs or Key Largo under the direct supervision of the dive instructor. These dives will concentrate on air consumption calculation, underwater navigation, buoyancy control, emergency procedures and self rescues. Students will perform an open water safety stop and simulate decompression. 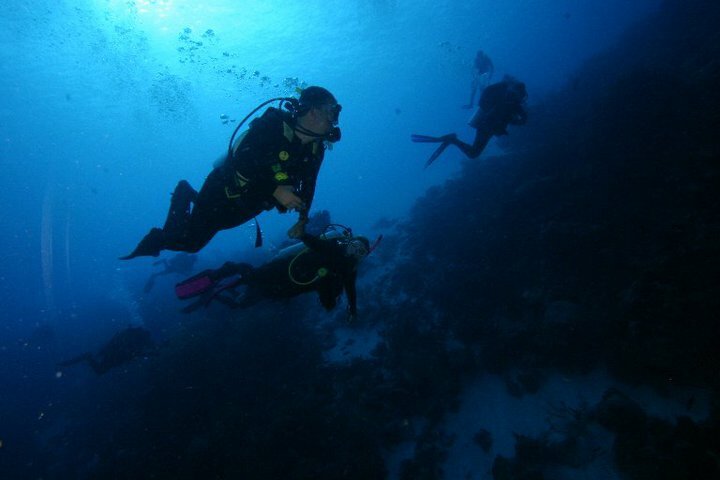 Other dives include a deep dive and a low light or night dive. This course includes lecture, six dives, text book, and certification card. The student is responsible for providing his/her own scuba equipment for the training dives. This course trains divers in the knowledge and skills needed to manage risks and effectively handle in-water problems and diving emergencies. Academic topics covered are causes and prevention of diving accidents, diving rescues, and general accident management. Skills included are assists and transports, surface rescues, rescues from depth, and self-rescue techniques. The course includes First Aid, CPR, O2 Administrator, lectures, a check out dive at Lk. Isis, and a certification card. The student must provide his/her own scuba equipment. Price is discounted if First Aid and CPR is already held. The Master SCUBA Diver course consists of advanced diving science and technology, as well as advanced diving techniques. The knowledge acquired through this intensive program will increase your abilities and confidence as a diver. The information presented in the academic sessions includes an in depth look at equipment, environment, physiology, decompression, and physics. The dives will provide orientations to the different special interest areas and introduce you to new diving locations and environments. 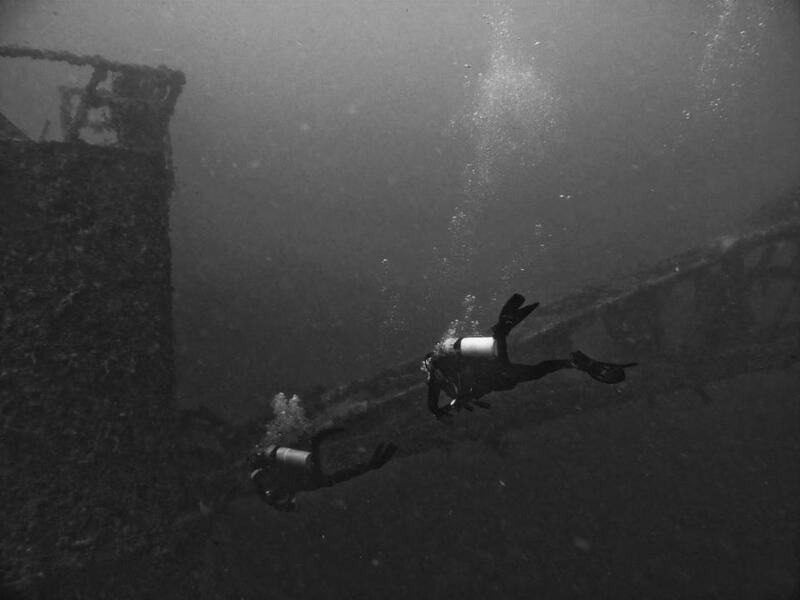 Required dives include emergency procedures and rescues; deep dive with simulated decompression stop; limited visibility or night dive; underwater navigation; search and recovery with light salvage; other dives may include wreck, drift, or spring diving. The course includes lectures, video use, and a certification card. The diver must provide his/her own equipment, transportation to dive sites, and site/boat fees. 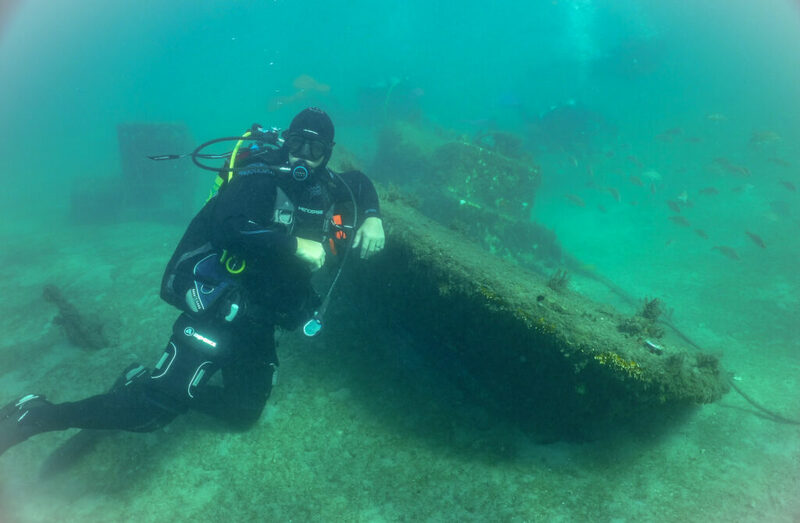 The Deep Diver course was developed to assist divers wishing to dive to depth of 130′ with a greater understanding of dive planning, physics, physiology, gas dynamics, in water skills, gear configuration and self rescues. Two to Three Classroom Lectures, Pool Session, Confined Water Drills (Pool and Lake Isis) Two Open Water Dives to 50 Feet at Lake Isis Two Deep Water Dives Between 90 and 130 Feet (Minimum of 100 Minutes of Open Water Bottom Time Completed Within the Four Dives) Completion of this Course Certifies You to Dive to 130 Feet. Dual Outlet Valve (H Valve) on Primary Cylinder with Primary and Alternate Regulators OR Standard Valve on Primary Cylinder and Pony Bottle With a Separate Regulator. The Advanced Nitrox Diver program was designed to introduced divers to staged decompression diving. It is an introduction to technical diving equipment and procedures. Completion of this Course Certifies You to Dive to 140 Feet With Decompression Stops Up To 15 Minutes using EANx Mixes With PO2 Up To 1.5. Must be 15 Years of age with parent/guardian authorization. Must be 18 Years of age Without parent/guardian authorization. 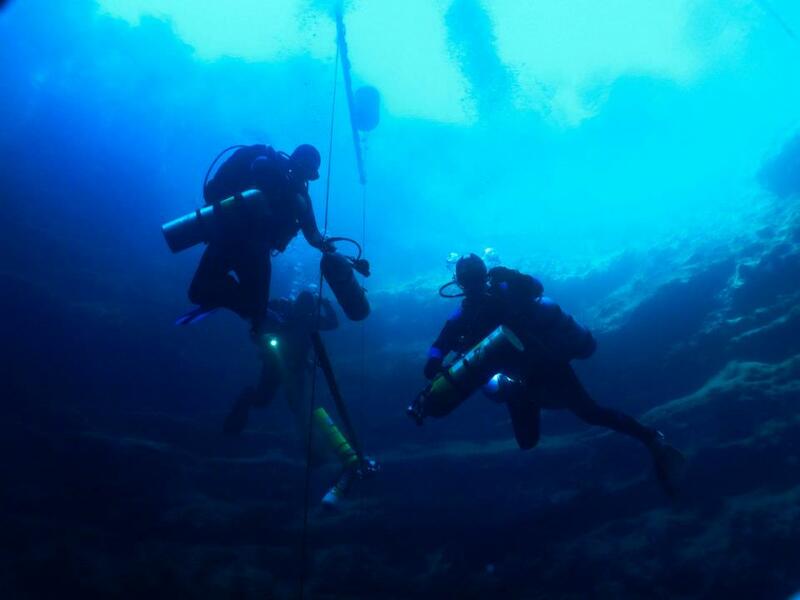 This course develops the minimum skills and knowledge for cavern diving. Planning, environment, procedures, techniques, problem solving, and other specialized needs of cavern diving are covered. Skills included are buoyancy control and trim, emergency procedures, line drills, and propulsion techniques. Accident analysis forms the basis of this learning experience. Special emphasis on the unique environment includes silting, entanglement, disorientation, and equipment modifications. This course is in no way intended to provide instruction for cave diving. 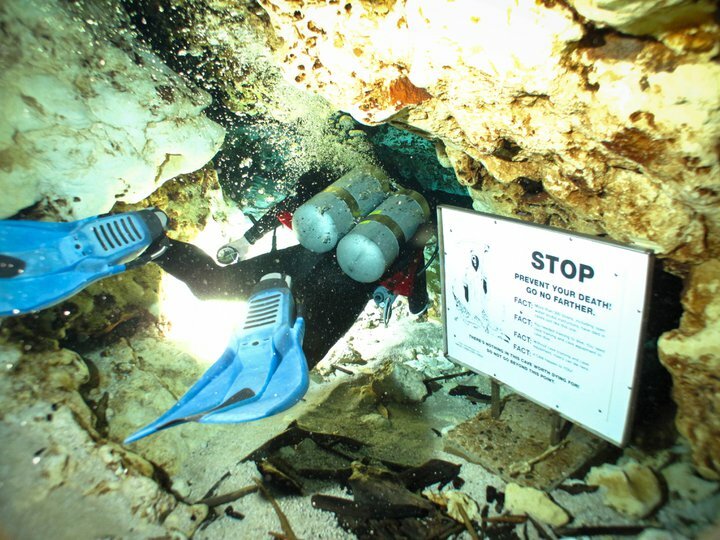 The course includes all instruction, four supervised cavern dives, and certification card. Students must provide their own scuba equipment configured with a 7′ hose, the NSS Cavern Diving Manual, a reel, lights and site admissions. Advanced Open Water and at least 15 years old. 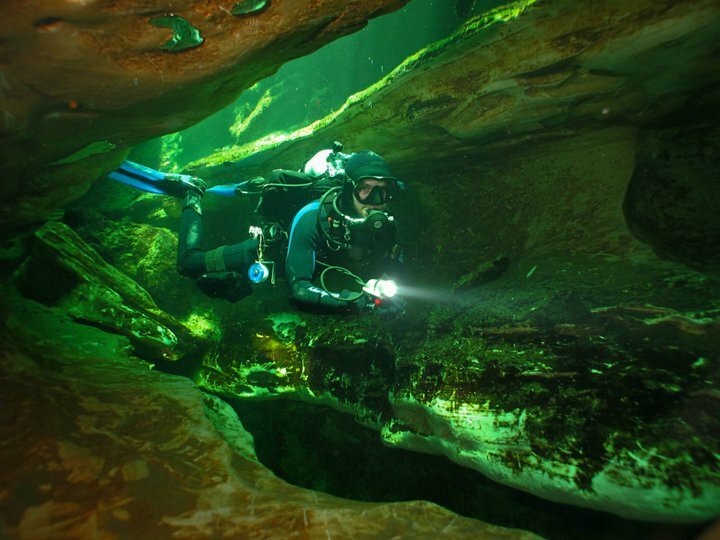 This course follows the cavern diver class as the second step in the development of safe techniques for cave diving. 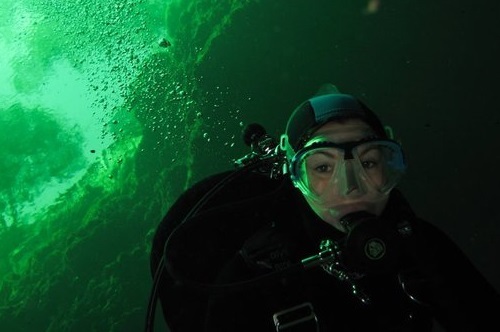 The basis of this course is aimed at perfecting skills taught in the cavern-diving program, as well as instruction in additional techniques and procedures required for the most elementary of cave dives. The dives are planned around limited penetrations, so the diver can progress into cave diving at a conservative pace. The introduction to cave diving course does not train divers for all facets of cave diving. The course fee includes all instruction, four cave dives (site fees extra), and certification card. Cavern Diver Certification and at least 16 years old. 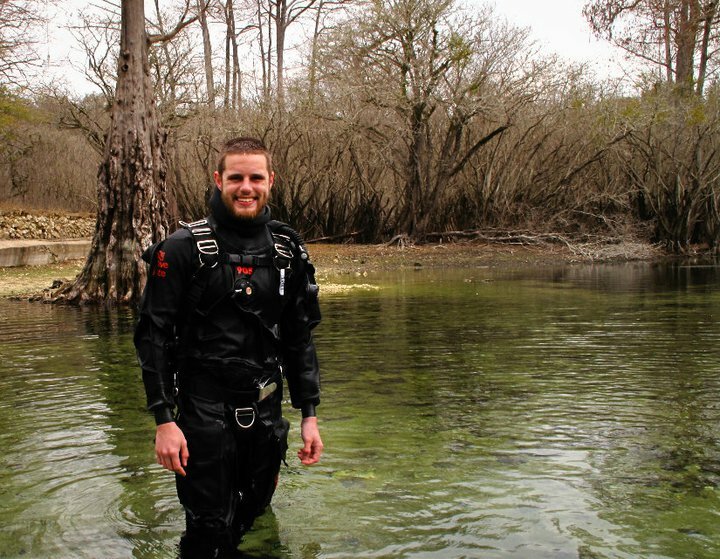 The drysuit diver course is developed to teach divers the finer points of drysuit diving. It covers the differences in drysuit types, types of seals, maintenance, emergency procedures and recoveries, and diving procedures. This class teaches the basics principles for sidemount diving in an open water environment. This class removes heavy double cylinders from your back and replaces them and twin, independent cylinders located on your sides. This gives one the ability to doff and don tanks in the water to avoid strain on the back. It is an excellent introduction to technical diving and greatly improves ones flexibility and safety, course focuses on gas management, trim, buoyancy with a focus on gear configuration.